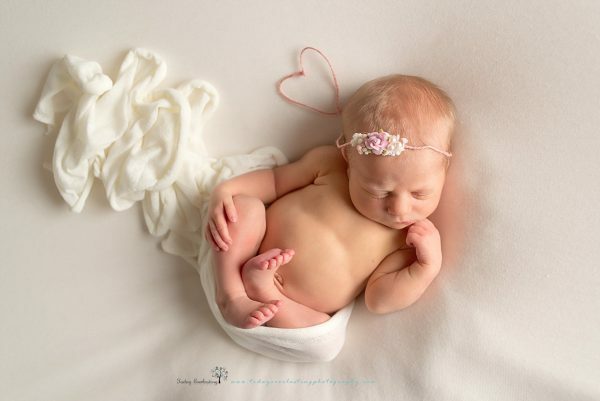 Have you ever wondered what exactly goes on behind the scenes during a newborn session? Everyone knows the baby gets their picture taken. What takes place between all those shutter clicks? I’ll give you a sneak peek at the process! 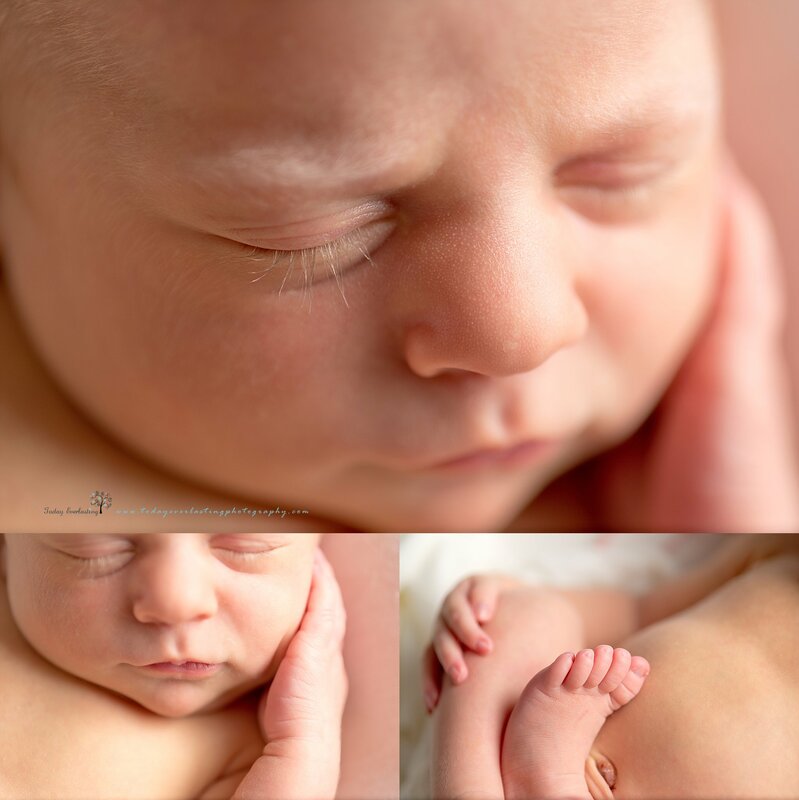 When you book a newborn session, I will meet with you ahead of time to discuss your personal preferences. I will also address any special needs I can accommodate. I love creating artwork for you that will be a treasure for years to come. So it’s important to me to get it right from the beginning! I will spend hours planning props, backgrounds, wraps, etc. This gives you the freedom to just bring baby the day of the session. 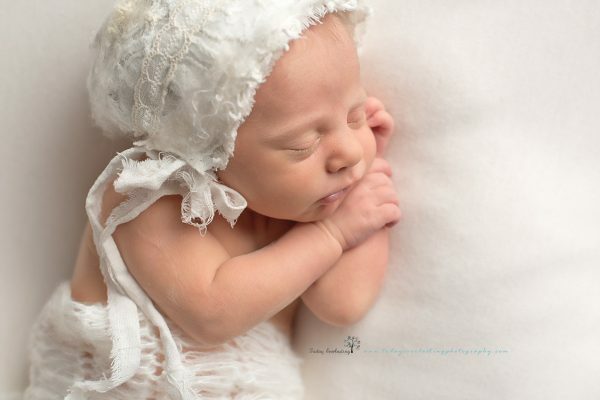 Ideally, I schedule the session when your newest little love is 5-12 days old. Photographers use many “tricks of the trade.” A big one for newborns is making sure our littlest clients are ready for a long nap! I make things as easy and stress free as possible. I have everything set up and waiting, based on your preferences from our pre-session consultation meeting. When (tired) parents arrive, they have the option of enjoying a warm (caffeinated!) beverage & fresh pastries from the Morris Bakery. Then they can enjoy watching the session from the room adjoining the shooting space where a window affords parents the opportunity to check on their little love without disturbing them. I have also had parents who have been comfortable enough to take a much needed snooze! If that caffeine kicks in, magazines & wifi are available to help pass the time. 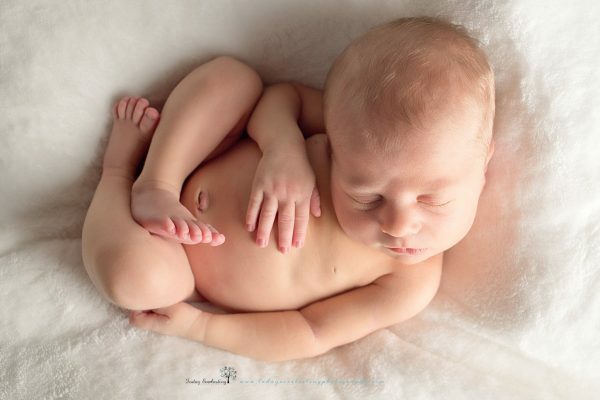 During the session, I’ll pose your sweet bundle in a way that highlights all their precious newborn rolls, wrinkles, and squish. It has always been my policy to never put a baby in a position that could compromise their safety for the sake of a photo. I, or a parent, are always within an arm’s reach. I’ll also use various tools for posing them that keep them safe and secure. During any given newborn session, we’ll have a few breaks where a baby might need changed or fed. It’s all just a part of the process! I’ll never rush my clients through a session. I always work to create an atmosphere that is peaceful and enjoyable for all! I provide a quiet, comfortable area for nursing mothers. A sanitary changing station is also available in the private bathroom. When working with babies, there are quite a few occasions for cleaning up little “oopsies”. 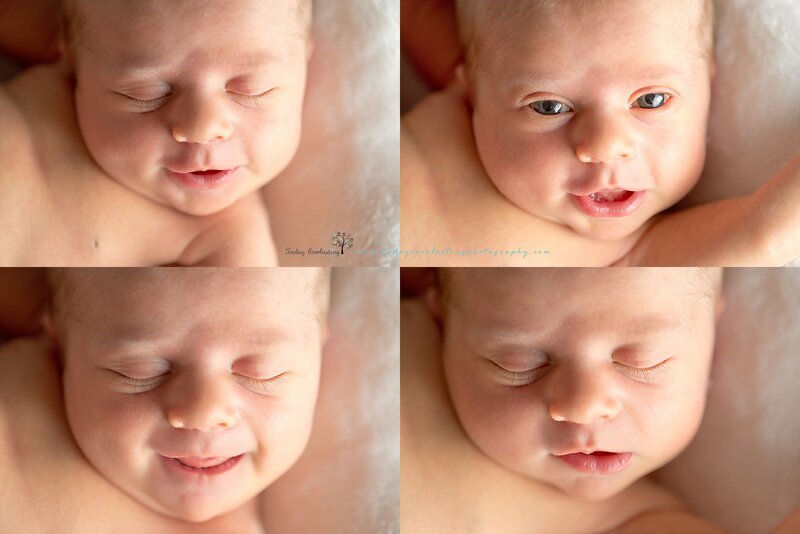 Before and after every newborn session, everything I use is washed and sanitized. 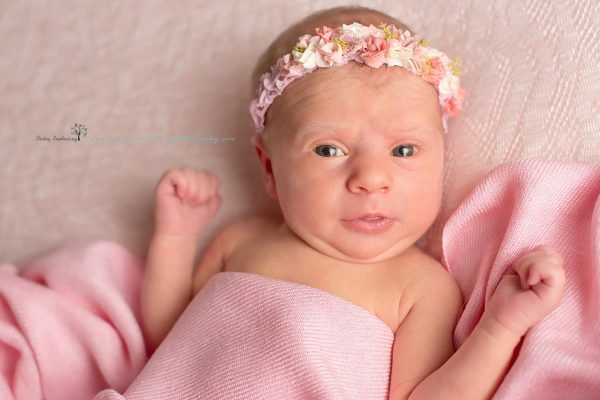 The materials used are soft and comfortable on baby’s skin, and conducive to keeping them sleepy and cozy. One of the techniques I use is called “flow posing”. This allows me to get a different look in each image, while moving the baby minimally. 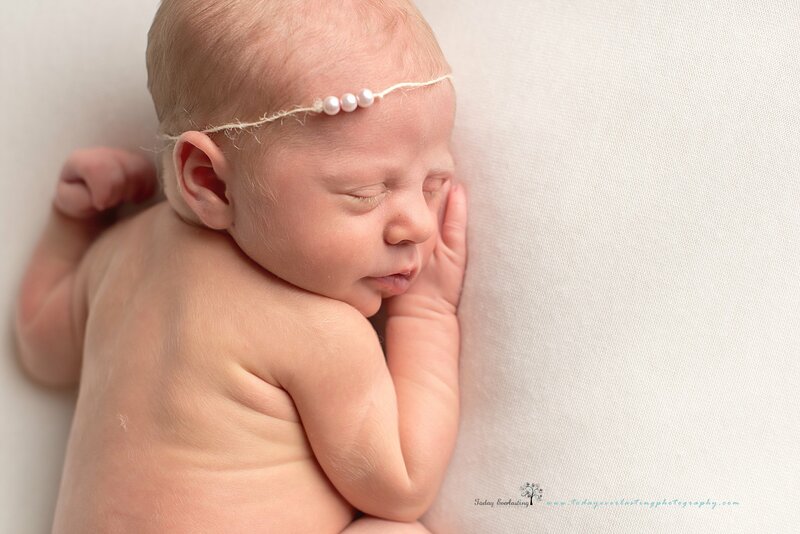 It’s a great option for newborns so that I can promote a natural look that keeps them feeling relaxed and secure. It gives me the ability to create art for you that can be beautifully displayed through a variety of different products that can be matched to the décor of a specific room, or around a theme, like I did in this session. I am so thankful that I have an outlet to combine my love for babies with my love for creating art through the medium of photography. I consider it a privilege to capture these first fleeting moments for you of your newest member of the family. 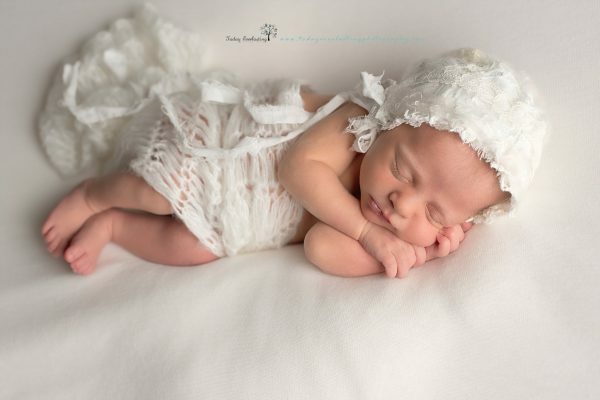 All the sweet little details that you will want to remember – the eyelashes, the little rosebud mouth, all the perfect little fingers and toes that you will feel the impulse to count – preserved for you forever in breathtaking art. If you’re expecting, come see me to talk about how I can accommodate your dreams for capturing your baby’s first few weeks earth-side. Looking for a creative gift for new parents? Give them the gift of memories preserved by purchasing a newborn session, or even one of the beautiful products I can offer! 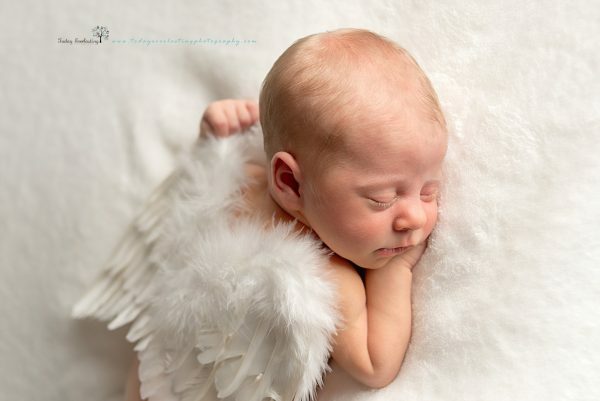 It will be my pleasure to capture your memories of your newborn for Today. Everlasting.